(NaturalNews) More than 13 years after 9/11, which was (purportedly) the worst terrorist attack ever on the United States' home turf, there are still conspiracy theories circulating about which blame the attacks on elements other than the 19 men who have been identified by the government as having been responsible. Now, there is a new video called "9/11 - A Conspiracy Theory" that seeks to debunk all that we've been told about that fateful day in less than five minutes (click here to watch it). On the morning of September 11, 2001, 19 men armed with box cutters directed by a man on dialysis in a cave fortress halfway around the world using a satellite phone and a laptop directed the most sophisticated penetration of the most heavily defended airspace in the world, overpowering the passengers and the military combat-trained pilots on four commercial aircraft before flying those planes wildly off course for over an hour without being molested by a single fighter interceptor. The narrative is accompanied by a series of photo stills -- including one of al Qaeda leader Osama bin Laden alleging to show him in a hospital gown receiving dialysis (bin Laden reportedly had kidney problems and needed regular dialysis, though the rumor-busting website Snopes.com says that cannot be determined or debunked). In summary, the video calls into question virtually every aspect of the 9/11 attacks that the public knows -- or thinks they know -- to be true. Numerous government agencies are implicated in what would be a more massive cover-up than the assassination of John F. Kennedy in November 1963. 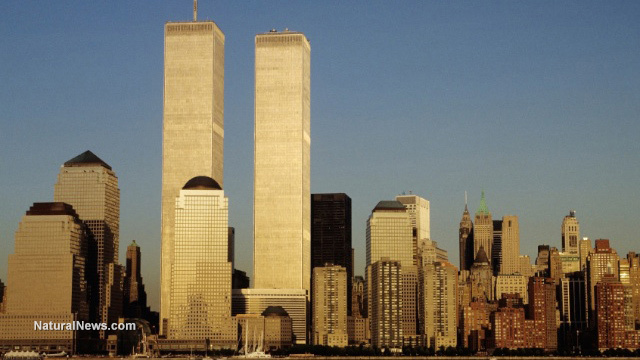 One of the "truths" questioned by the makers of the video has also been questioned, in the past, by a number of architects and engineers; namely, how World Trade Center Building 7 collapsed when, seemingly, it was never damaged in the original attack. "Scores of television and radio news outlets who had reporters on the scene, as well eyewitnesses and - perhaps most importantly - a number of architectural engineers all believe that WTC Building 7 buckled and fell not because of raging fires on the first floor that tore through office furniture and weakened the structure, as a government agency concluded, but because it had been rigged well in advance with explosives," I wrote Aug. 20, 2011. "As incredible as it sounds, the evidence - again, much of it from first-hand eyewitnesses and structural engineering experts - strongly supports that conclusion." Click here to watch the latest challenge to the government's official 9/11 Commission conclusions and other government statements regarding the attacks.